Of course, your car is very dear to you. It’s an expensive item that you probably use every day. 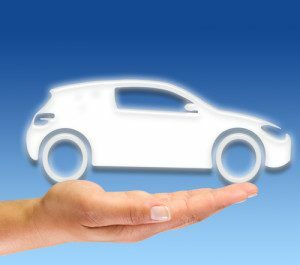 When you book auto shipping, you want to be completely sure that your precious car is in safe hands. Car Transport Depot promises you that our Auto Transport is as safe and secure as it can be. But even though we are sure about our drivers, not everything depends on them. There are a lot of unpredictable things that can happen on the road when shipping your car. The chance of mishaps is very small, but it still exists. That’s why any car transport company must have valid insurance for the vehicles they ship. CTD has valid insurance. If anything happens to your vehicle during the Auto Shipping process, we will cover all the damages. We provide full insurance for all the vehicles we transport. We guarantee the safety of our Vehicle Transport. All of our drivers are very reliable. We invest in only the best staff. We inspect our trucks and trailers frequently. Still, we have full insurance to be able to cover any possible damages. There are events no person has the power to control. And we want our customers to be protected against those rare, unforeseen circumstances. Truck insurance – $1 million in liability. Cargo insurance – from $100,000 up to $1 million in liability. Enclosed Shipping truck – $1 million in liability. Call CTD today to find out more about our insurance. Our car shipping agents are looking forward to speaking to you!